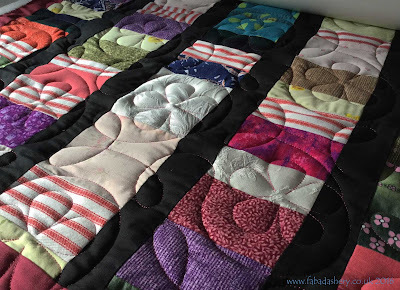 Have you ever made a memory quilt? 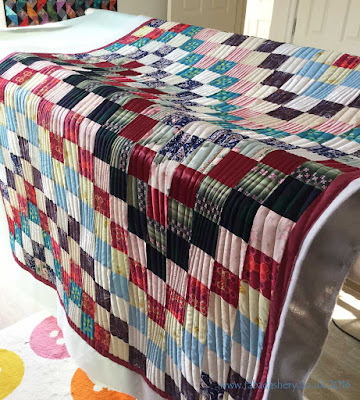 Collecting special fabrics and old clothes together which hold special meaning make a really unique quilt. 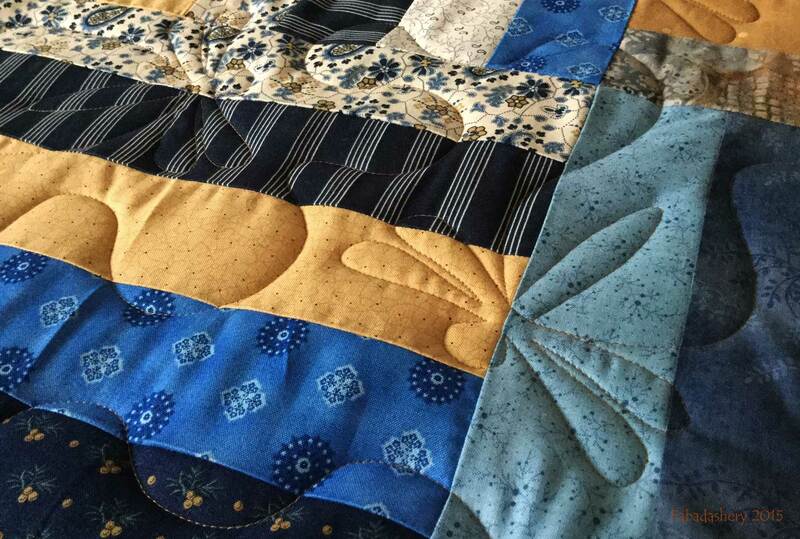 I really enjoy quilting these as they are a fascinating cornucopia of historical materials and memories. 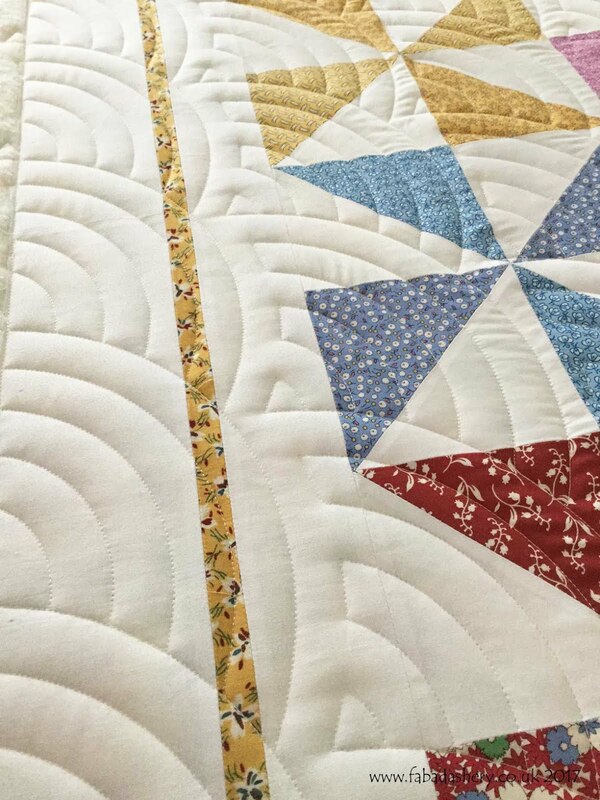 Often or not the 'special' fabrics don't abide by the quilting rules, but that is what makes them special. 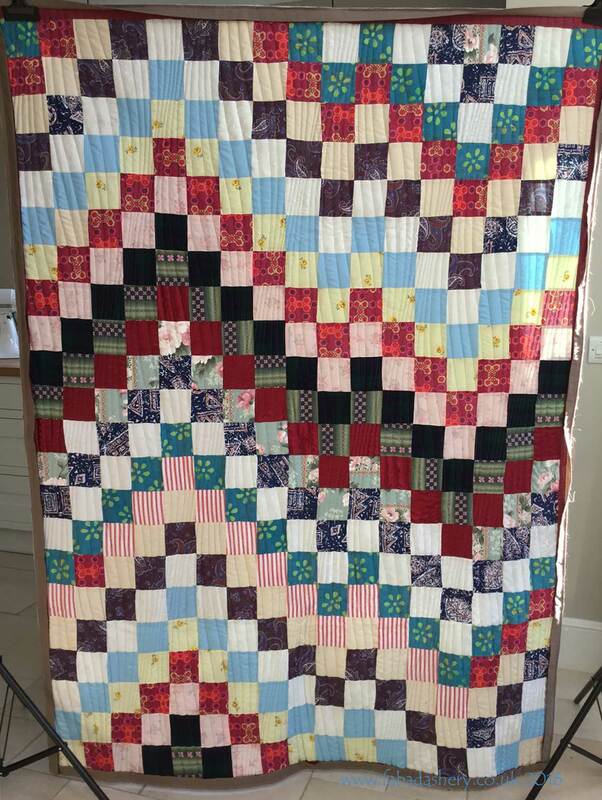 Jacqueline brought me two memory quilts which she made and are intended as gifts for family members this Christmas. 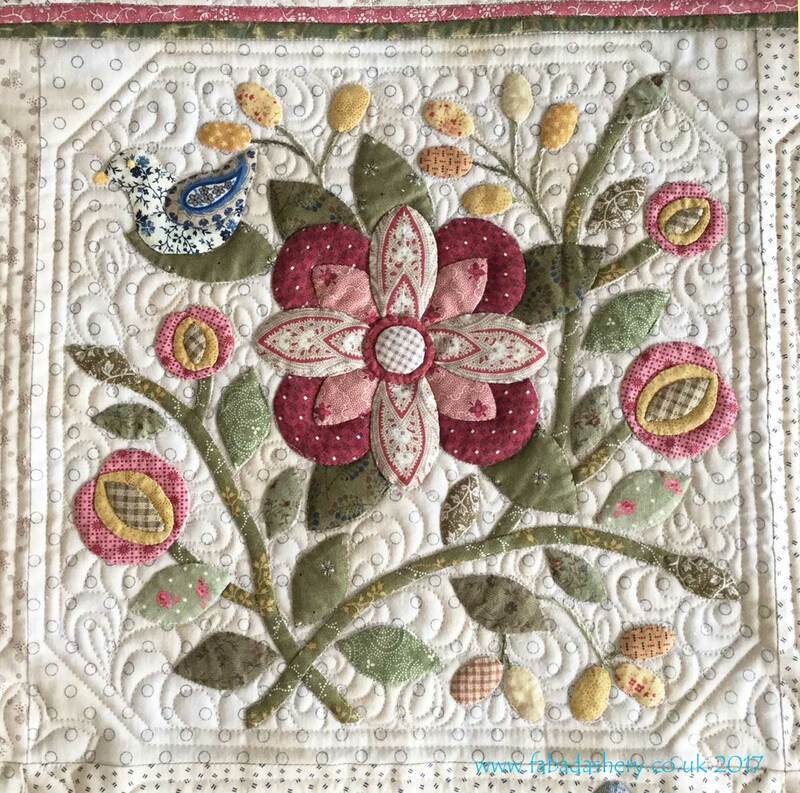 They included the white brocade of Grandma's wedding dress, some upholstery fabrics and even some stretch material - the whole gamut! 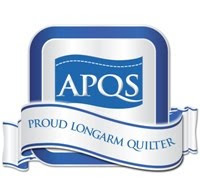 With a random set of fabrics, Memory quilts can be a challenge to piece together, let alone quilt on a domestic machine, but using a longarm quilting service can make light work of it. 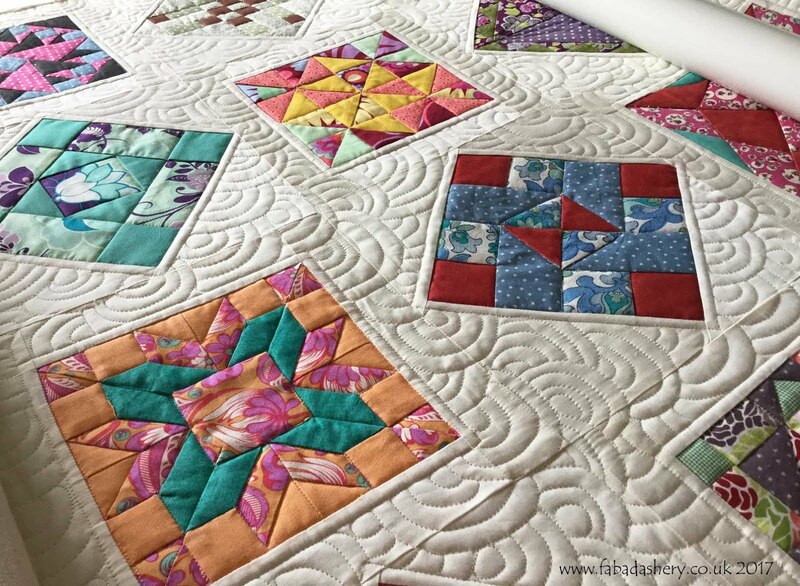 Ideally, the backing should be one, evenweave fabric to add support to the overall quilt and help stabilise the mix of fabrics on the front which you have pieced. 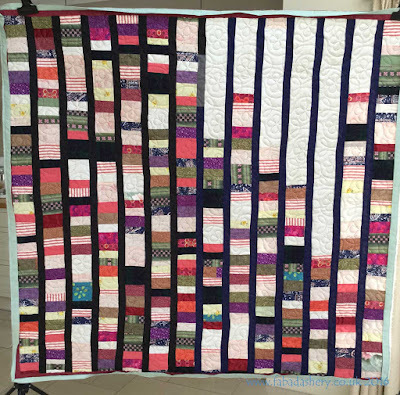 The first of Jacqueline's quilts was a Bargello quilt, backed with a two-tone plain fabric. 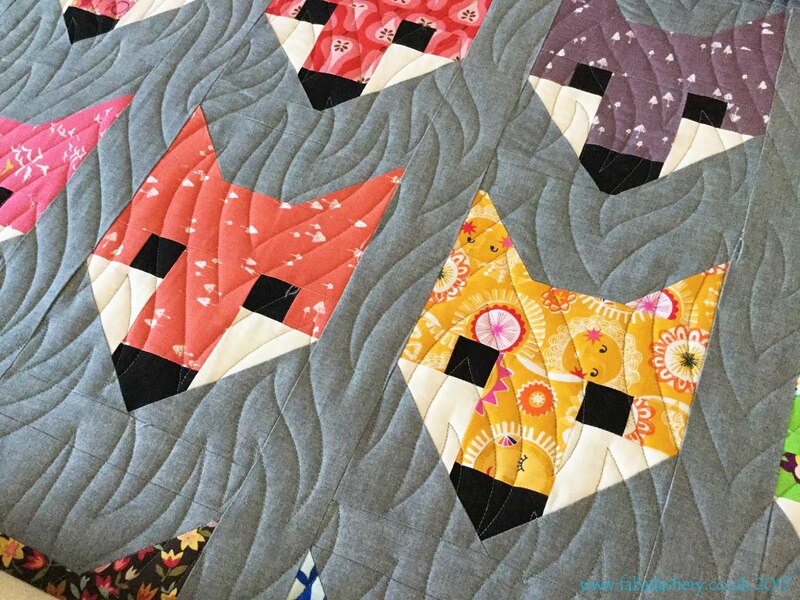 The quilting pattern used was 'Modern Curves' by Anita Shackleford. 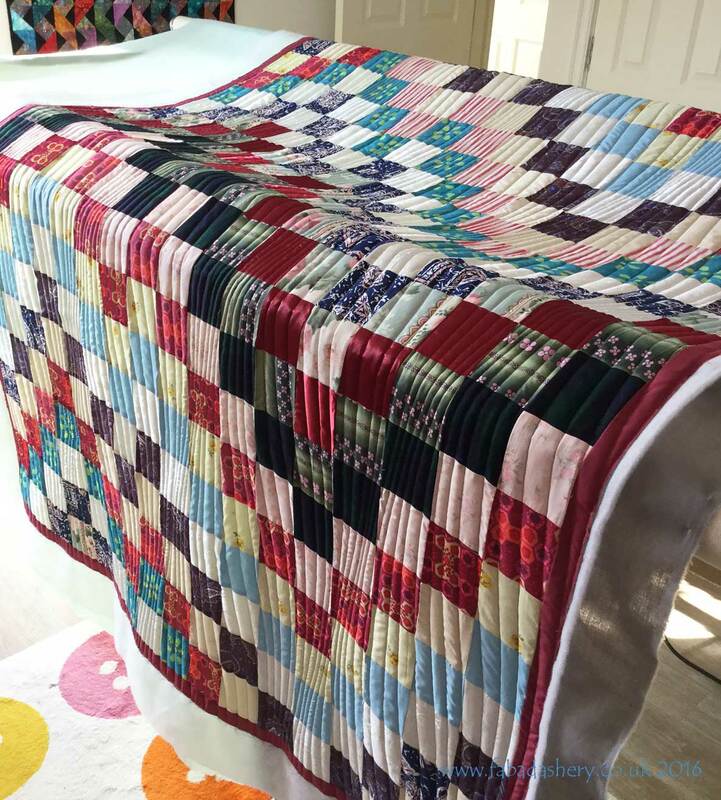 This was a great choice because the long lines complimented the bargello piecing and on the back it had a modern feel, great for the young person receiving it - two quilts for the price of one! 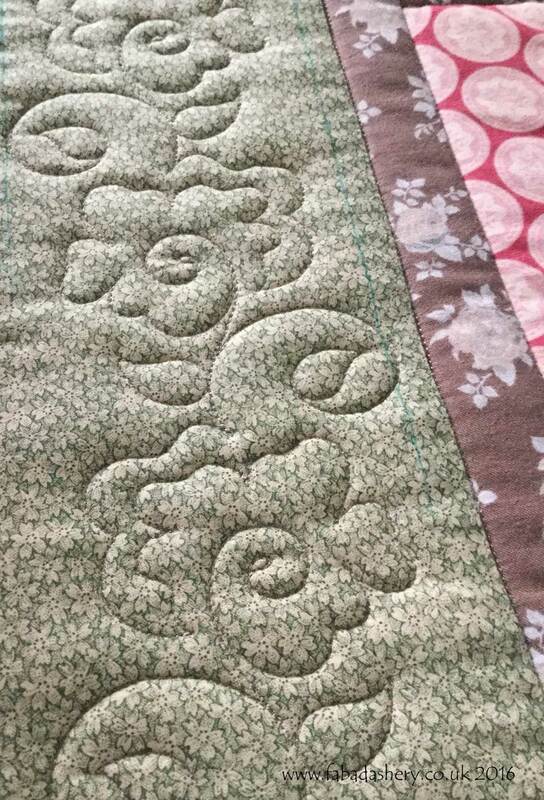 The second quilt was a 'Coin Quilt' which made great use of all the scraps of fabric. 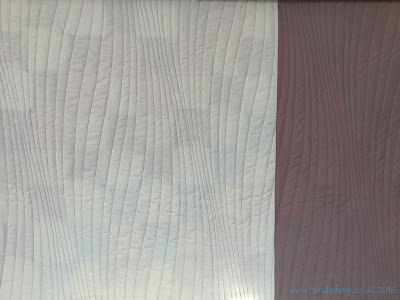 I particularly loved the way the light highlighted the sheen of the brocades and satins in this quilt. 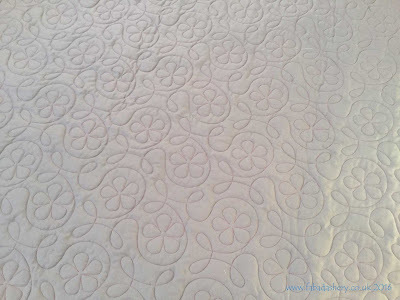 The quilting pattern on this quilt was 'Ginger Flowers' by Hermione Agee and again, it was chosen specially for the person who was receiving it. 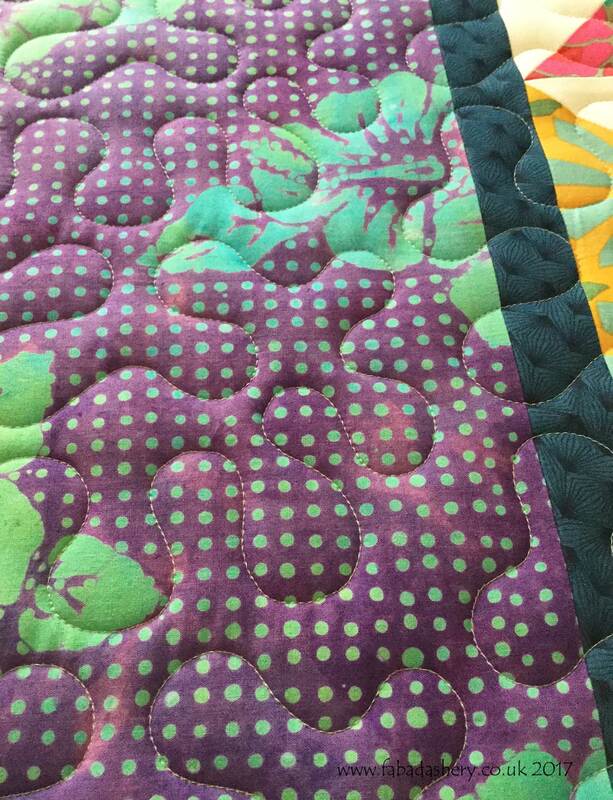 These two quilts are truly individual and SO special. The idea of making a Memory Quilt is such a wonderful idea, which sometimes can loose its appeal when you start stitching it together because the fabric personalities. 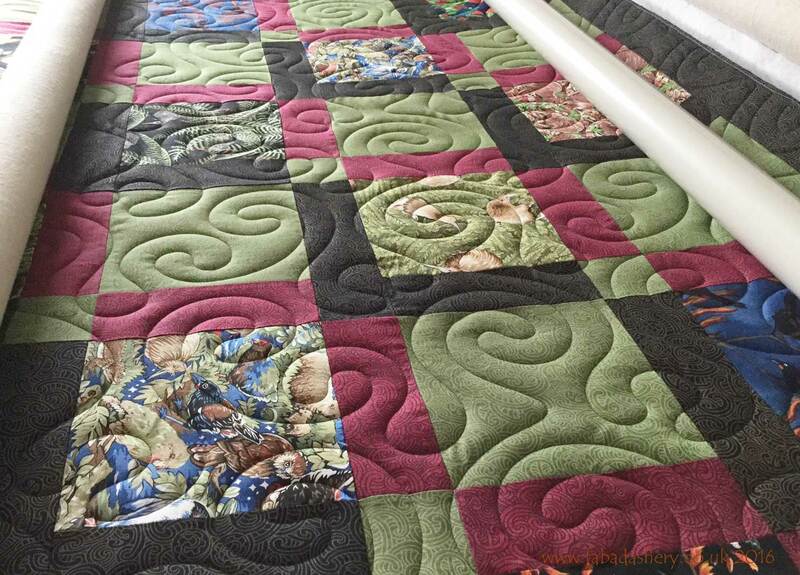 Do not despair, pull it out of the cupboard, there is someone who can finish the quilting for you here at Fabadashery Long Arm Quilting.